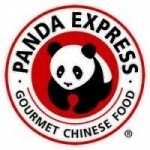 Panda Express owns a chain of fast casual restaurant, which offer American and Chinese cuisine on its menu. The company owns restaurants in over fifteen hundred locations with a corporate office in Mc Lean VA. The company was founded in the year 1983 and Andrew Cherng, Ming Tsai Cherng, Peggy Cherng, and Andress Sandoval-Cherng were the founders of this chain of restaurants. The main items included in the menu are Chicken entrees, regional entrees, beef entrees, shrimp entrees, along with appetizers, sides, and drinks as well. The company is known for its added care with food for which it also pays more wages per hour to its employees. There are currently 1 consumer reviews about Panda Express available. Share your review. Please take a note that you are about to post a public review about Panda Express corporate office on CorporateOffice.com. This review will be public, so please do not post any of your personal information on this website. If you would like to contact the corporate offices of Panda Express, please use their contact information such as their phone number, website, and address listed above to contact them. However, sometimes staff from Panda Express headquarters do read the reviews on this website.